DON’T use common rock salt (sodium chloride) or products containing calcium chloride as they will destroy masonry. DON’T use fertilizers sometimes sold as de-icing or traction agents; chemicals from them will degrade concrete. DON’T allow residue of de-icing product to accumulate. 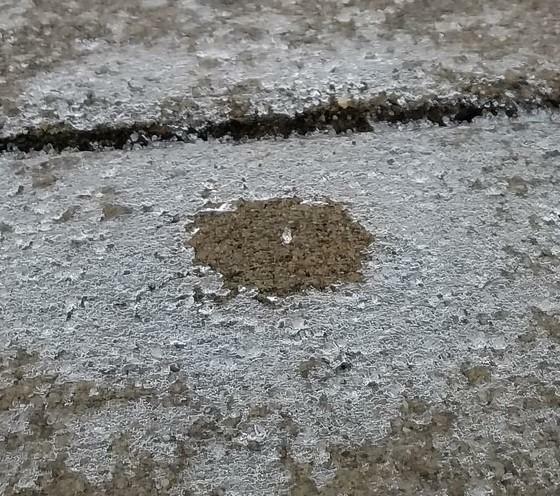 DON’T put any de-icing product whatsoever on concrete less than six months old. DO use magnesium chloride based melting agents; they are the least damaging to masonry, vegetation, and the environment. DO use sand to help provide better traction on icy areas. DO shovel as much snow and ice away as possible before applying a de-icing agent; apply it sparingly and in areas with only the most foot traffic. DO as ice melts, shovel it away along with the residue of melting agents.